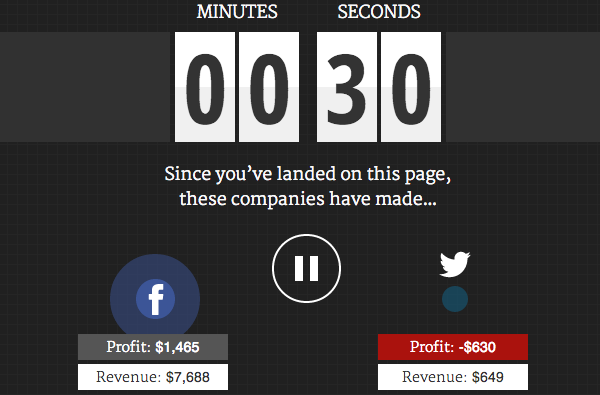 In the last 30 seconds Apple generated revenues of $166,921. Google? $58,429. Amazon picked up $72,714 and Facebook $7,688. And Twitter? $649, although it actually made a net loss of $630. 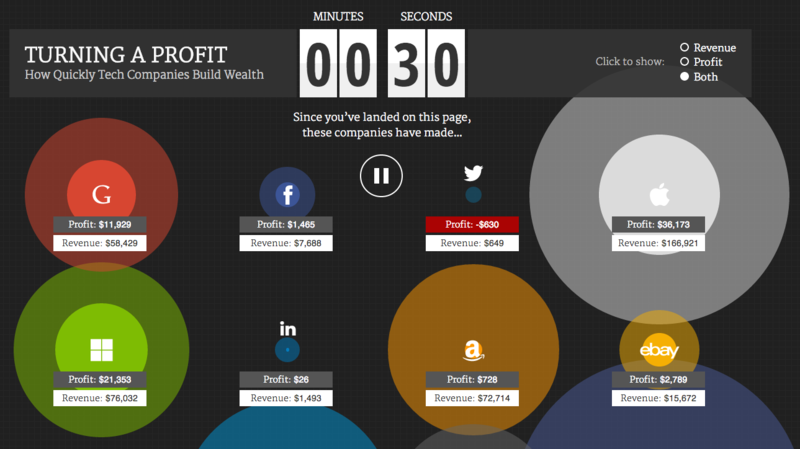 These figures come courtesy of this slick website tool which tracks, in real time, how much revenue and profit the world’s top tech companies generate each and every second. The aforementioned giants aside, the site also tracks Microsoft, LinkedIn, eBay, Yahoo!, HP, Sony and Samsung.